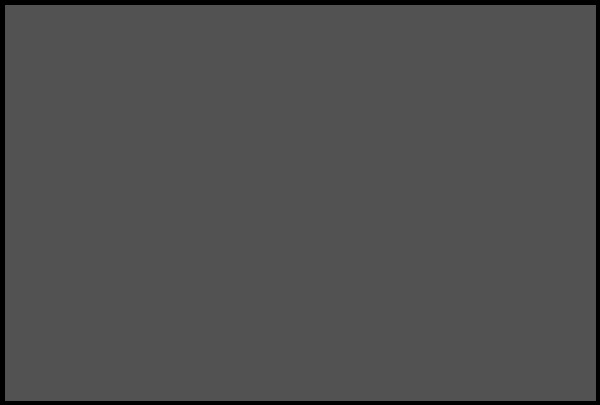 Alan Moore has recorded singles. Simon Bisley is a respected drummer. Grant Morrison used to tour with his band The Mixers. Gerard Way of My Chemical Romance fame has a whole line at DC Comics. Run DMC has his own comics publisher. Other musicians turned comic creators and comic creators turned musicians include Courtney Love, Amanda Palmer, Ghostface Killah, Claudio Sanchez, the boys from Cud, Lady Wiedlin, Ma Bemis, Daniel Johnston, Jeffrey Lewis, Jeff Lemire, Zak Sally, Tom Morello, MF Grimm, Rob Zombie, Tyrese Gibson, Gene Simmons, Courtney Taylor-Taylor, Black Francis, Alice Cooper, Neil Young, and many more. 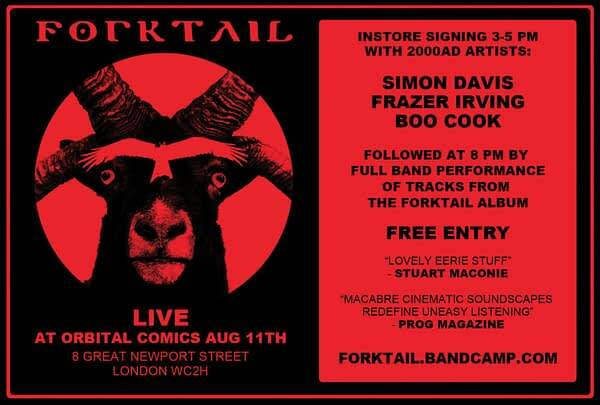 But there’s a new comic creator band on the scene: Forktail, consisting of Simon Davis (Sinister Dexter, 20000AD) and Boo Cook (2000AD, Elephantmen, Doctor Who). And at Orbital Comics in London this Saturday, they will be signing with Frazer Irving in the afternoon and returning to play their set in the evening. It will entail “exploring the themes of folklore/folk horror/ancient history and the allure of The Horned One”. Admission for the day at Orbital is free. Kirby Krackle, they are coming for you.